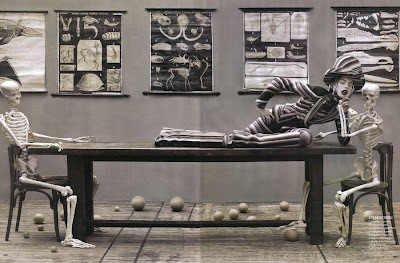 As I looked at the photos before reading your comment, I thought of Witkin's work too. They also remind me of a great photo of Keith Haring naked except for black and white body paint, that I believe was taken by Annie Liebowitz. 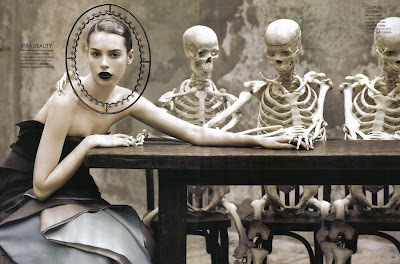 My favorite of these is her skinny arm reaching across the table with the skeletons, interesting fashion statement. I appreciate your comments, especially with my sister checking in! 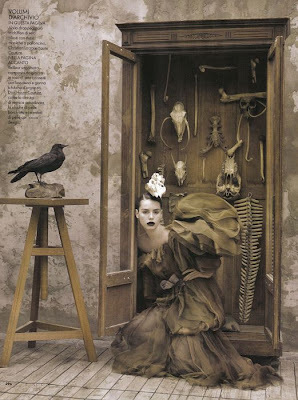 There seems to be an unwritten rule that "anything goes" in fashion photography. Often, I see the images as an excuse to shoot anything and call it art. 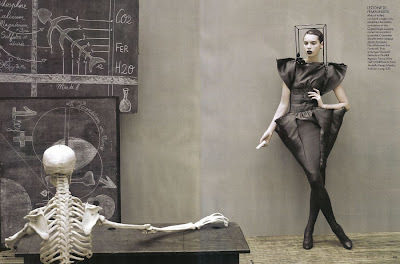 However, in the case of this work, there is a wonderful balance of art, fashion, drama and design. très joli site, mairgance, paris.